I’ve been a madwoman these past few weeks (months), with mile-long to-do lists and never enough sleep or time. But quality time playing with Corban and Mara is always first priority, so we’ve had lots of fun hanging out at home and getting together with friends. And let’s face it… it’s not possible to get anything done when your 2-year-old is awake, so playing with him is the only realistic first priority. Naptime is crunch time. 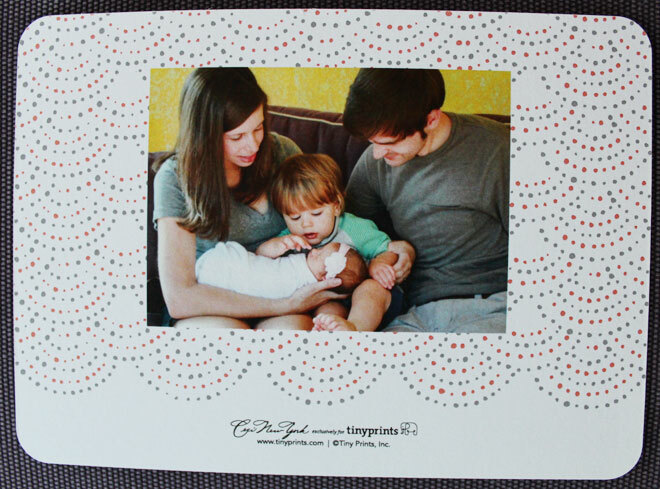 Before Mara was even born, I had been eyeing birth announcements (for both boys and girls — but truthfully I was more interested in the girl ones). I wasn’t sure if we’d do professional newborn photos this time (we didn’t for Corban), but I knew we would send a birth announcement. There’s just something special about sharing your sweet sleepy little one with faraway friends and family in the form of a mailed photo announcement. Facebook is great for instant sharing, but you just can’t beat the fun of receiving a card in the mail. After Corban’s birth, I wrote about my failed attempt at printing my own birth announcements and how it ended up being way easier and not much more expensive to just buy them from Tiny Prints. Well, Tiny Prints came across that post and offered to send me some complimentary birth announcements for Mara. I had already been bookmarking birth announcements from their site (they really have the best designs) so I was grateful for that opportunity (we paid for additional announcements beyond what they offered as well). As with the design of Corban’s birth announcement, it was love at first sight with the design I chose for Mara. When selecting a birth announcement, it definitely helps to choose the design first so you know what kind of photo to take. In this case, we needed neutral space at the top and bottom for words and embellishments, and I’m glad I knew that before we had photos taken. So, yes, we did end up having newborn photos taken by the photographer who took my maternity photos, Jamie Zellmer. I’m so glad we did. Jamie had all the right equipment, patience and editing expertise to get some beautiful shots of Mara. On the back, we added my favorite family photo of us. 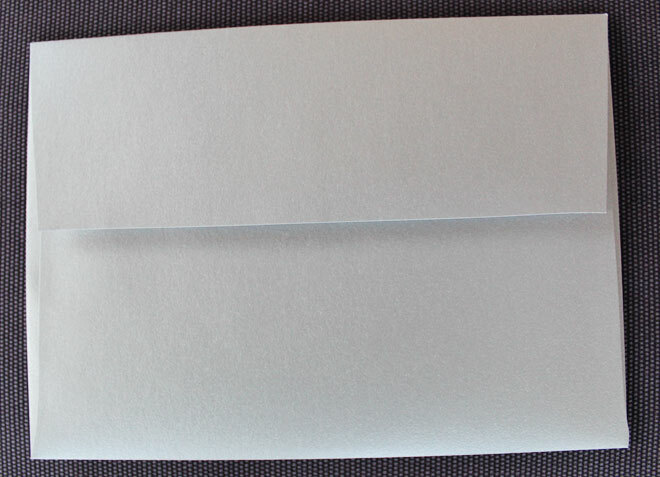 Envelopes are not to be forgotten, so we upgraded from the plain white to metallic silver. The only negative with the metallic paper was that the ink of our return address stamp smudged off on it, so I ended up ordering some return address stickers with another family photo from the shoot on them. I know social media has made birth announcements less necessary these days, but I still love to send and receive these joyful pieces of mail! It’s been over two months since you updated. 😦 I hope you update soon!